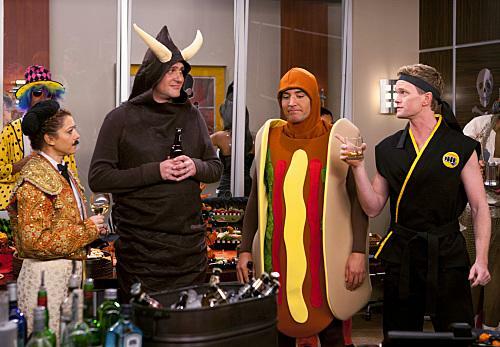 Does anyone else think Friends and How I Met Your Mother [HIMYM] are quite alike? 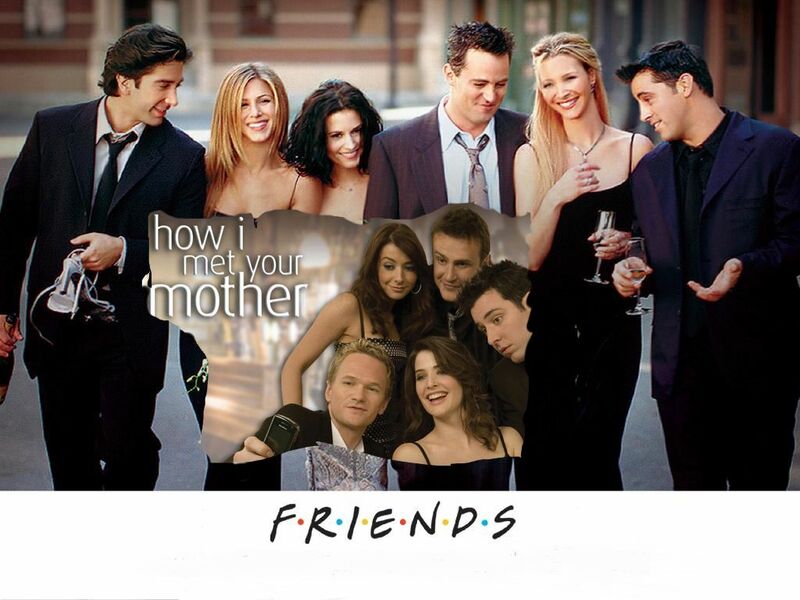 I watched an episode of Friends the other day, immediately followed by one of HIMYM and it got me thinking, ya know, about how awfully similar they are. So I drew a bit of comparative-chart to identify some of the obvious similarities. By chart I mean prose, and by drew I mean typed. 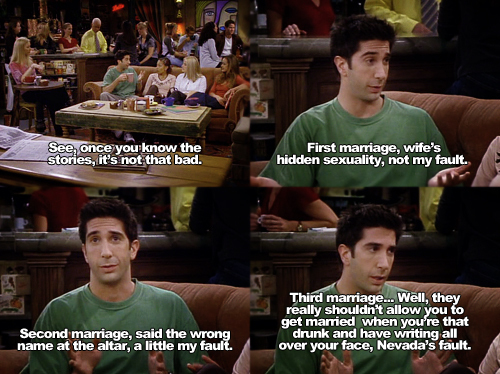 Ross commits to relationships too quickly. Ted commits to relationships too quickly. Says “I love you” to Robin on their first date. 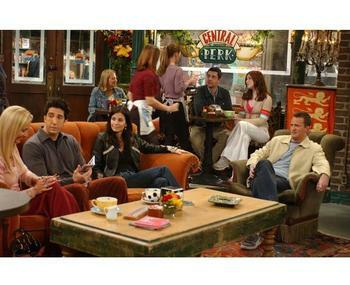 They hang out at Central Perk and sit on the same sofas every time. Periodically, anyone apart from these six seen sitting on the sofas is asked to leave. They hang out at MacLaren’s Pub and sit in the same booth every time. I think the Robin and Lily got into a silent-fight / stare-down with a few other girls who were sitting in their booth. 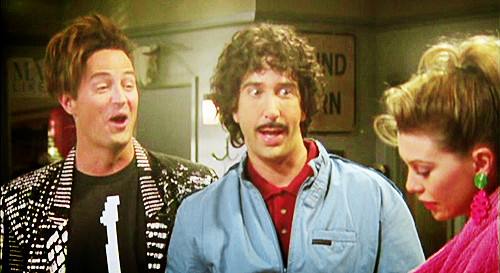 Ross and Chandler have known each other since college. Ted and Marshall have known each other since college. 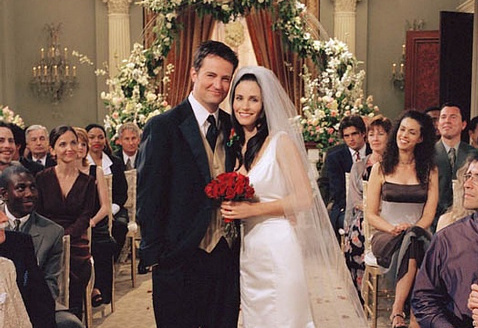 Chandler and Monica are married. One married couple in the group. 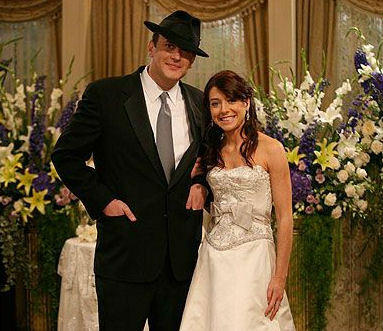 Lily and Marshall are married. One married couple in the group. 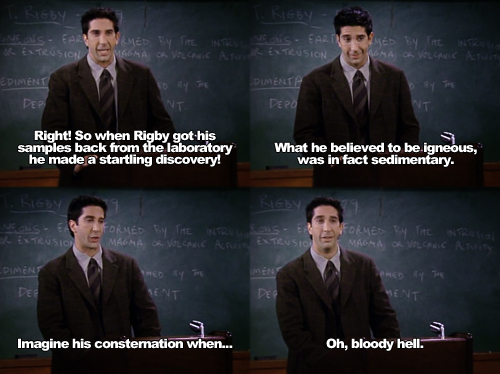 Ross is a professor and tells the most sinfully boring stories. Ted is a professor and tells the most sinfully boring stories. Joey is a ladies’ man. Barney is a ladies’ man. 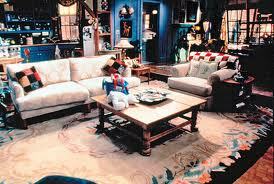 Everyone hangs out at Monica’s grandmother’s apartment. Everyone hangs out quite a lot at Lily and Marshall’s apartment. Or is it Ted’s? Well, one apartment is frequented the most. 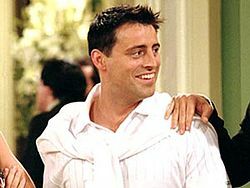 Joey is of Italian origin. Ok so this one was a long shot. So they’re not identical *rolls eyes*. But you’ve gotta admit that that’s still a pretty decent number of similarities in the plot. *Note: None of the pictures used in this post are mine. They’ve all been taken from various sources across the internet. 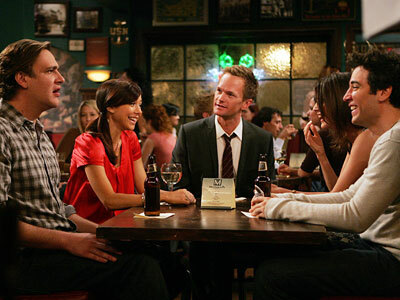 Most of them can be found by using these keywords: Friends, How I Met Your Mother, names of characters from both shows. There are some things you come across and just can’t help but share. You can find the original piece by Stephanie Georgopulos here. “I like how you mispronounce words sometimes, how you fumble and stammer and stutter looking for the right ones to say and the right ways to say them. I appreciate that you find language challenging, because it is, because everything manmade is challenging. Including man, including you. When you sleep on your side, I like to map the constellations between your beauty marks freckles pimples, the minuscule mountains that sprinkle your back. I like the tufts of hair you forgot to shave and the way you smell when you haven’t showered in a while; I like the sleep left in your eyes. I enjoy seeing you insecure, vulnerable. I like to watch red steam light up your cheeks, a spreading mist of shame when you think you’ve done something unacceptable like missing a step on the stairs or not having the perfect answer to something I’ve said. It’s like you honestly don’t know how wonderful you are, it’s like you have no idea. The burns, the scars, the black and blues on your face body heart, I want to know their stories. I want to know what hurt you, who hurt you, how bad the damage is. I like your hard, ugly toenails and the layer of fat that lines your belly, the soft parts you try to hide. It’s okay to be soft, sometimes. I appreciate your ability to get inappropriately angry as much as I appreciate your willingness to apologize afterward. I like how your passion manifests unpredictably and uncontrollably, how your feelings cannot be caged or concealed, how you’re incapable of apathy. I’ve been siffing through a number of emails I’ve ‘starred’ in the recent past. Some of them are related to literature that I need to read up on, but most of them are on potential (suggested?) blog posts for myself. It is during this browsing-spree, if I may, that I changed upon this post. I don’t even remember when I came across the post about The 100 Social Enterprise Truths. 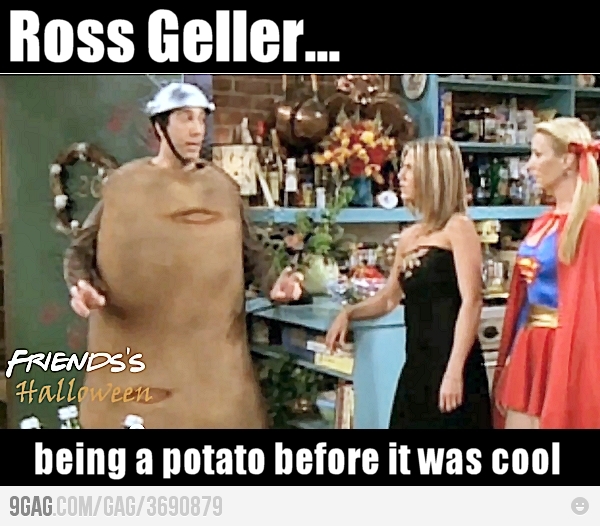 I don’t remember when I came across it online, I mean. Now that I’ve gone through it again, I see why I’d starred it. There’re a lot of interesting points here. And now that I’m on the brink (or almost!) of taking baby steps into (social) entrepreneurship, I have a few things on these points. The reason I keep ‘social’ in brackets is because I’m still trying to figure out if I can officially term what I want to do with Aham Asti in that category. So without further ado, here’s the list of 100 Social Enterprise Truths. And incase you didn’t catch it earlier on, you can find the original post here. My comment: I absolutely agree here. Although…hmmm…the word ‘profit’ does make me a bit wary. My comment: Absolut-o-mundo! Not that I would ever want to catergorize myself as one or the other, but I do want to make a change. I’m not sure about a ‘movement’, but a change, yes. My comment: I think it’s almost vital for that to happen. Growth invariably equals more number of people being reached. Reach out and think big! My comment: Bulls-eye. Get the self-interest out of the picture, and you’ll do fine. But I s’pose it’s important to keep in mind that you’ve gotta feed yourself and handles finances, keeping daddy dearest’s words in mine. My comment: Hang in there – it’ll happen! My comment: I suppose this is where partners come into the picture. People who’ll be by your side and work with you and help you share the workload. These people, to be honest, have to be people who share your vision (if I may). Else, it’ll just spell disaster. My comment: The day you stop learning, you stop growing. Period. My comment: Deliver what you plan. Deliver what you promise. Deliver deliver deliver. That’s what it’s all about. My comment: Yes, believe in what you’ve set out to do. If you don’t believe in it, no one else will. My comment: Yes, but it sure will help you identify people who’re worth associating yourself with. Know how to work various channels. My comment: I believe that. Jack of all traits isn’t the best thing to start with. Aim for being the king of one, at the beginning at least. My comment: Couldn’t have said it better myself! My comment: *sigh* My biggest fear! Maybe this is where my MBA will help! My comment: I was chatting with a friend of mine recently and he said something that really stood out. While talking about a venture he’s created recently, he said to me, “Go out there and do it. Commerce will happen. Commerce always happens.” Do it well, is all I’ll add, and the money will definitely flow. My comment: I’ve already started my research on finding web designers and website creatorthingamajigs. Wish me luck, especially since I’m a total doofus in that area. My comment: I can see that too. And lots of people out there who’re not only trying to do something, but who’re actually bringing people together from across the globe to help each other. If you don’t know them already, you must check out the guys at Make Sense. I do hope one day I can say “I knew what I was talking about!”. I’ve been meaning to blog about what Aham Asti is and what I want to do with it, but haven’t had the time. But I will get down to it soon enough. And when I do, I’ll add a link here for those of you who might be interested. 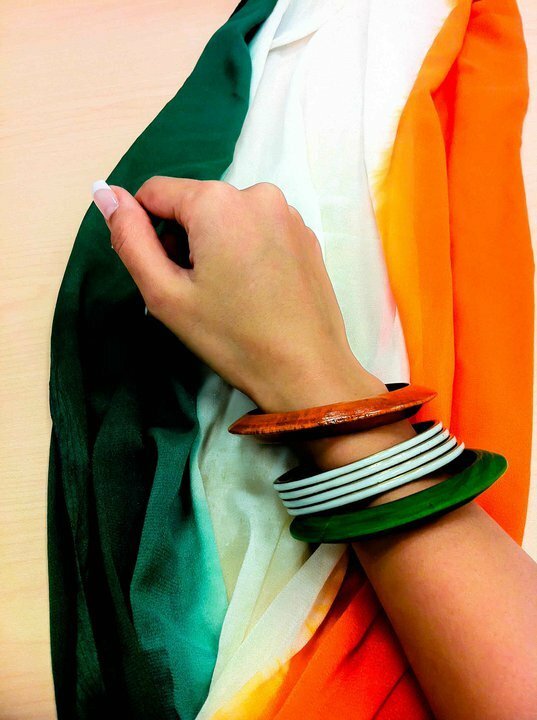 For now though, I’d just like to say that I’m going to start my MBA in e-commerce in the next month and once I’m done, I hope to jump right into Aham Asti. During this next year though I plan to implement what I learn. Here’s hoping things fall into place. Damn, this one took a while! Not to say that it took me a while to compile it, but for some reason I just couldn’t get around to blogging this edition. For almost two months. Now that’s just wrong! How, what, when, where and why are questions that’re prolly running through your mind. This is in case you’re not yet aware of my #AweseomHandles hashtag on twitter and my previous blog posts. As I always say, instead of going into the narrative all over again, imma just let ya go over the previous editions of Twits and their #AwesomeHandles: first edition, second edition, third edition, fourth edition and fifth edition. And that, boyz and gurlz, was Twits and their #AwesomeHandles 6.0. I’m almost halfway through my 7.0 list. If you think you have an AwesomeHandle and want to be on here, then drop in a comment below or gimme a shout on twitter: I’m @silv3rglee. Also – these lists are compiled purely on the basis of recommendations from tweeps, so don’t hesitate to let me know as soon as you spot a funky handle and think it should make this list! It needn’t necessarily be yours, but hey, you know there are some really #AwesomeHandles out there!